What does the milky way, Royal Flying Doctors, bilbies and red dirt have in common? 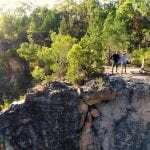 You’ll find them all in Charleville, the south-west town at the crossroads of two of Outback Queensland’s famous highways – Warrego Way and Matilday Way. 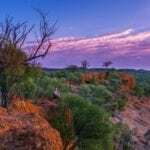 With a population of only approximately 3,300, this quintessential outback town is the biggest in south-west Queensland, and a must-do on any outback road trip. If you’ve got 48 hours to spare, here’s how we recommend spending your time in Charleville. Boasting the travel trifecta – drive, fly, train – Charleville is accessible from whatever direction you’re coming from. If you’ve got plenty of time up your sleeve then jump on Queensland Rail’s Westlander for a scenic tour of the Outback. 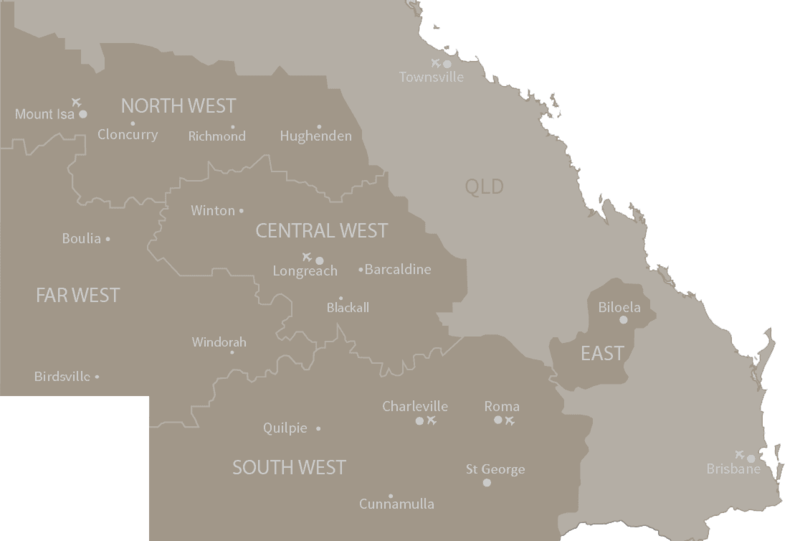 This rail service departs Brisbane bi-weekly and takes approximately 16 hours to arrive in Charleville. For those road-tripping it to the Outback, you’ve got a solid eight and a half hours exploring the Warrego Way if leaving from Brisbane. Be sure to watch out for wildlife on the roads and be prepared to make numerous pitstops to take photos of the wide open road. Short on time? See the outback from above with a two hour flight from Brisbane with Regional Express (REX) Airlines. In case you need more convincing here’s 5 reasons why you should fly to the Outback. For a luxe spin on outback accommodation, check into the Rocks Motel. Following an extensive renovation, the Rocks Motel’s 20 rooms fuse city sophistication with outback style and functionality. Located in town opposite the train station, you’re a short stroll away from all the main attractions and food venues in town. The motel also has a pool on site for cooling down, an outback essential when the temperatures rarely dip below 20 degrees, ever. There’s nothing like travel to make the stomach rumble, so enjoy dinner at your doorstep at On the Rocks, the motel’s in-house restaurant. Modern Australian cuisine is served up in a casual, yet stylish outback environment. Think: pork ribs, sirloin steak, and barramundi with bush salt. Soak up the sunset over the vast outback landscape from the restaurant verandah with a beverage in hand as you relax and unwind in preparation for a new day of exploring. What better place to fuel up for a day of site seeing than Charleville’s own bakery. Only a ten minute walk from The Rocks Motel, the sweet scent of cinnamon scrolls and the chatter of the towns folk will lure you in the direction of the historic shop. With its ‘multi cuisine’ offerings (sushi anyone?) and quality outback hospitality, it’s your one-stop-shop for a bite to eat in this outback town. Once you’ve savoured the last sip of your cuppa, walk straight across the road to the Charleville Historic House & Museum to start the day with a history lesson about the town you woke up in. After you’ve brushed up on the town’s history, head to the Charleville Bilby Experience to see the adorable but almost extinct bilby. The wildlife centre is working to look after these miniature marsupials by using the profits from visitors to ensure their conservation. Booking into one of their daily tours or shows will get you close up and personal with the bilbies and their habitat. Once you’ve got you outback animal cuteness fix, check out the heart of Charleville – that is, the warm fuzzy feeling you get when you visit the Royal Flying Doctors Visitor Centre. 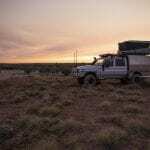 Take a journey through the transformation of the service from its beginning to its present day technological advances that help those in remote outback locations get the medical attention they need. Check out the Charleville Cosmos Centre for a star-studded experience. Each night the centre rolls back its roof to reveal a line up of impressive Meade telescopes for you to explore the mysteries of outer-space. Curious about outer-space? Check out these nine things you didn’t know about the outback sky. Hush hush as you take the Top-Secret WWII USAAF History Tour, which guides you through the Charleville Airport. The site became a part of the United States of America in in 1942 when it was handed over to the USA Military to use as a secret base during World War II. At its height, there was 3,500 (the population of Charleville now) United States Servicemen staying in the area. Book in for the daily tour at the Visitor Information Centre, explore the uncovered sites, and learn about Charleville’s war history. 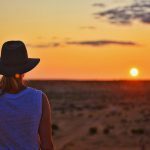 Make the most of your central location and visit close by towns Cunnamulla, Eulo, Tambo, and Quilpie during your time in Charleville. Play spotto in Cunnamulla and keep count of how many ‘roos and wallabies you come across in the town that has the largest population of these bouncy natives in Outback Queensland. Head a touch further south west to Eulo for a spa treatment of a different kind. Rejuvenate and relax in a bath tub full of ancient mud in the middle of the outback. With the fresh air and the ability to clink glasses of wine with your mates in the tub next to you, you’ll never want to bath indoors again. If your compass is pointing north, stop by the township of Tambo and pick up a famous Tambo Teddy, made from 100% natural wool from local farms. For those venturing further west, Quilpie is your next stop. Known as the home of the ‘Jewel of the Outback’, this small outback town shines bright with opal fossicking on its must-do list. Post sponsored by The Rocks Motel. Have you been to Charleville? Let us know what you go up to while you were there in the comments below.